This year we are trying out the Magic School Bus curriculum. This science curriculum boasts 180 days of units on space, forces and weather, energy, animals, habitats, archaeology and more! I want to give a shout out to Cornerstone Confessions for offering this free curriculum on their awesome website. This curriculum is appropriate for kindergarten, 1st, and 2nd-grade students. As I’ve mentioned, it’s free, but you will need to purchase certain supplies for the experiments. You will also need access to The Magic School Bus episodes via Netflix, YouTube, or the library. 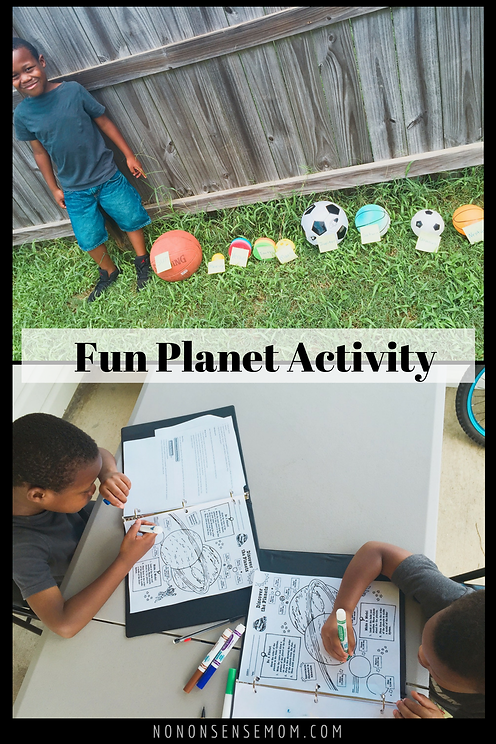 While it’s too early to provide a comprehensive review, I will say that this curriculum is full of fun activities and experiments for kids. We are definitely enjoying this no-nonsense approach to science. 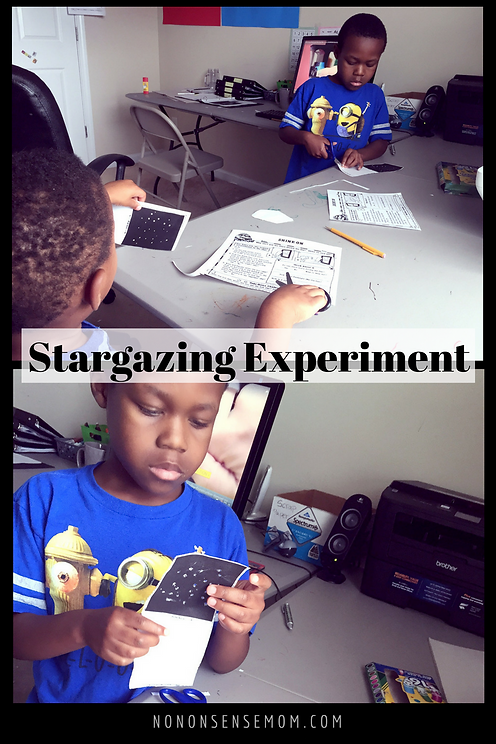 So, let’s get right into some of the experiments and activities we’ve been doing this month! Objective: Identifying planets by size and distance to the sun. • Balls of every size (1 basketball, 1 soccer ball, 2 soft balls, 2 ping pong balls, 1 jack ball, 1 marble). *Note: We didn’t have all these balls on hand, so we just used what we had! 2. 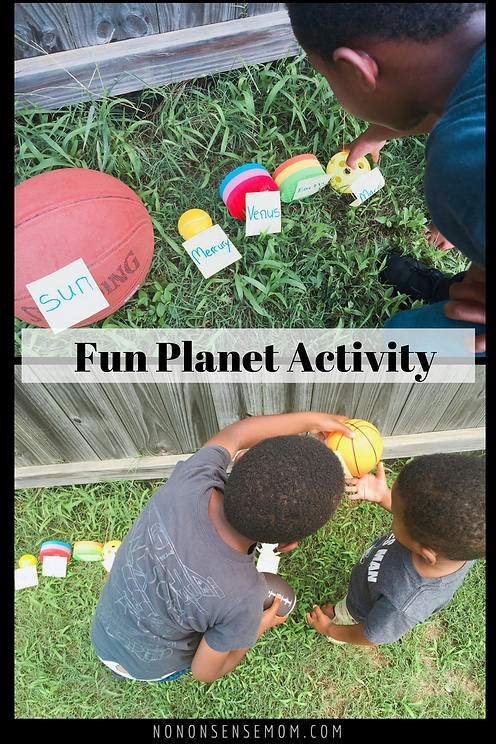 Ask students to label all of the planets according to size. 4. Ask students to complete the follow-up worksheet activity. 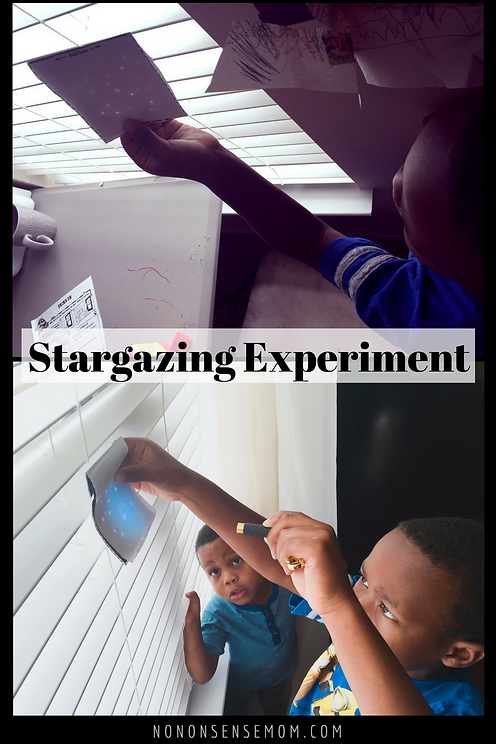 Get more ideas for this experiment here! Objective: Finding out what happens to stars when the sun rises. Corresponding Video: The Magic School Bus Sees Stars. 1. Go outside on a clear night and observe real stars. Have students record what they see. (If you don’t homeschool, tell your students to stargaze with their parents for homework). 2. The next day, go outside and ask the students if they can see any stars. 6. Pretend it’s daytime and hold Astro-Liz up to a bright window. This time, shine the flashlight (sun) on the cover flap. 7. Ask students to complete the follow-up worksheet activity. Objective: Learning about different constellations. 2. Choose your constellation from the template and cut it out. 3. Place a coffee mug upside-down onto dark blue construction paper and trace around it. 4. Cut out the circle you traced on the dark blue construction paper. 5. Glue your constellation directly onto the center of the dark blue circle. 6. Punch out the holes on the constellation using a pin, pen, or pencil. 7. Fold the circle onto the end of the tube so that the constellation is centered. Fasten with a rubber band. 8. 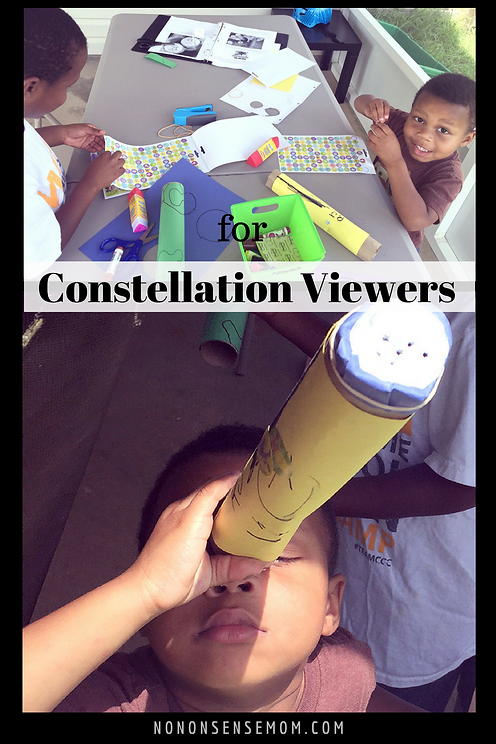 Look through the tube to view your constellation! *Note: You can also place a flashlight into the tube and turn off the lights to see the constellations. 4. 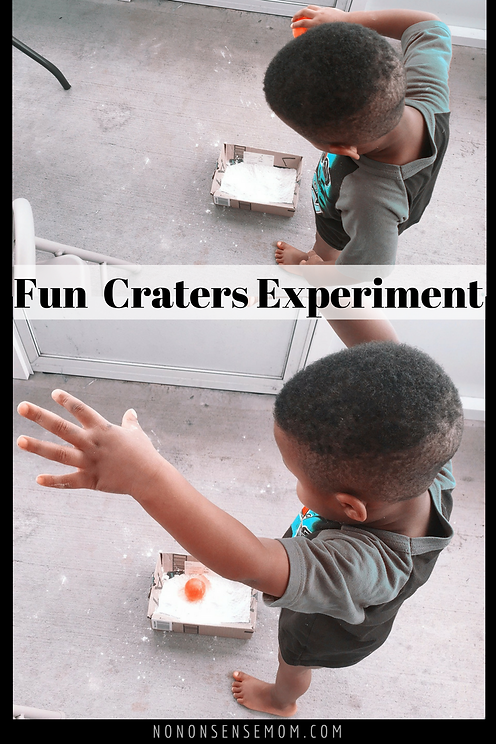 Experiment Four: Making Craters! Objective: What happens when asteroids of different weight and sizes hit the earth? 1. Mix flour and salt together in shoe boxes and smooth over. Cover with a layer of cinnamon. 2. Ask students to predict what might happen if they dropped each of the balls into the shoe boxes. 4. Ask students to record their observations on the worksheet. 6. Ask students to record their observations. 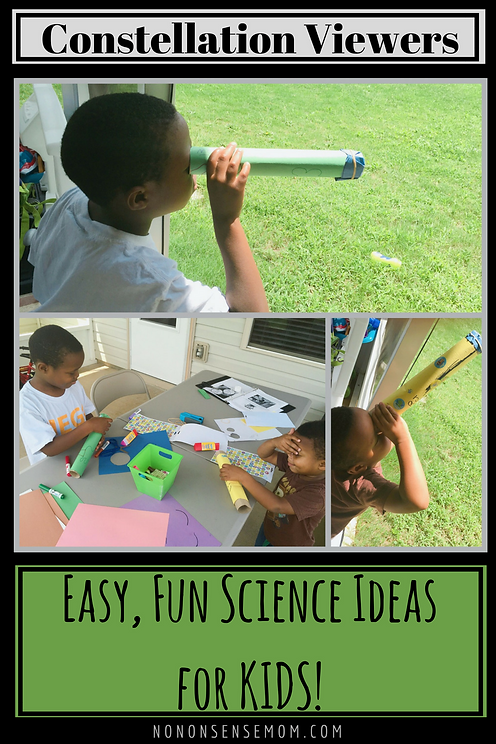 Stay tuned for more posts on easy, fun science experiments for kids! I wish I could write about them all, but I’d rather you head on over to Cornerstone Confessions and Scholastic to discover the ones we didn’t mention for yourself. A full review on this curriculum will be available at the end of the school year. Stay tuned! Have you tried this curriculum? Let us know down below!